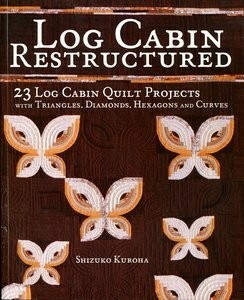 Japanese Book of Log Cabin Designs – Log Cabin Restructued is a book entirely of log cabin variations. 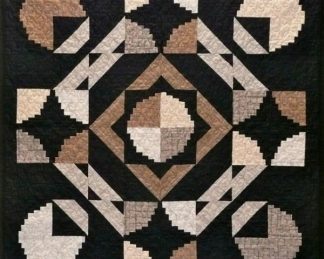 The piecing is small and intricate and incredibly beautiful – Several different forms of log cabin blocks are covered, including standard, courthouse steps, equilateral triangles, diamonds and stretched diamonds, hexagons, and curved logs. Absolutely the best presentations of log cabin blocks in the Japanese Style. 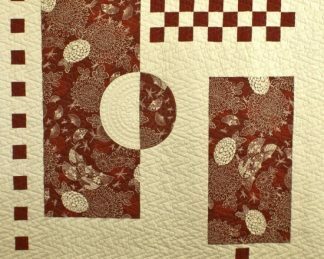 Book by Shizuko Kuroha – The author has taught quilting in Japan since the 1970’s and owns a quilt studio named Nuno Place in Tokyo. 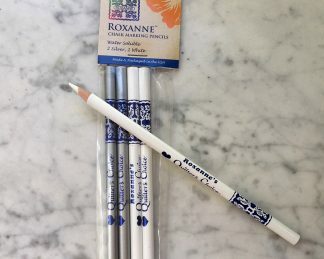 She has written 30 books.